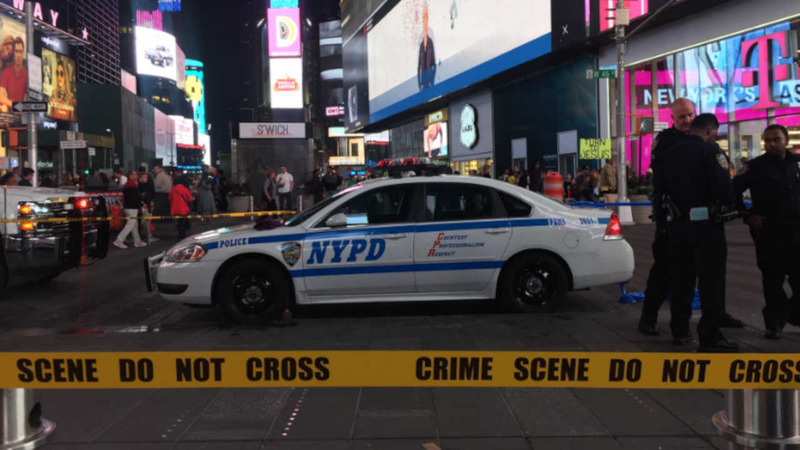 TIMES SQUARE, Manhattan (WABC) -- Police arrested a woman who they say tried to light an apparent Molotov cocktail in Times Square. Eyewitnesses said Ludvini Baugier de Chevestre tried to light a wick connected to a bottle filled with liquid on Friday night. Those witnesses called police. Officers arrested Baugier de Chevestre, and took her to the hospital for an evaluation. She has been charged with reckless endangerment and placing a false bomb. The NYPD arson and explosives squad is currently testing the liquid that was inside the bottle.